Children must be 12 years old and good swimmers. Bathing suits or shorts and a shirt to protect against sunburn are appropriate attire. Everyone must wear old sneakers, Teva’s, or water shoes to protect their feet. Helmets are recommended for everyone and required for those 14 years old and under. Wetsuits are recommended due to the cold-water temperature, usually under 60°F. Eyeglass retainers are a must for those wearing glasses. Do not take valuables (rings, jewelry, etc. ), car keys, or cell phones with you in the creek. Key and article check available. Tube with a friend or in a group so as to have help in case of an emergency. Steer away from fallen trees as the swift current may trap you in the branches. It is essential to navigate, which is accomplished by paddling with your hands and kicking with your feet. Stay in the middle of the river or the deepest running water where you’ll have fewer obstacles to deal with. If you fall out of a tube, don’t panic! Grab the tube! It’s a flotation device and will keep your head above water. 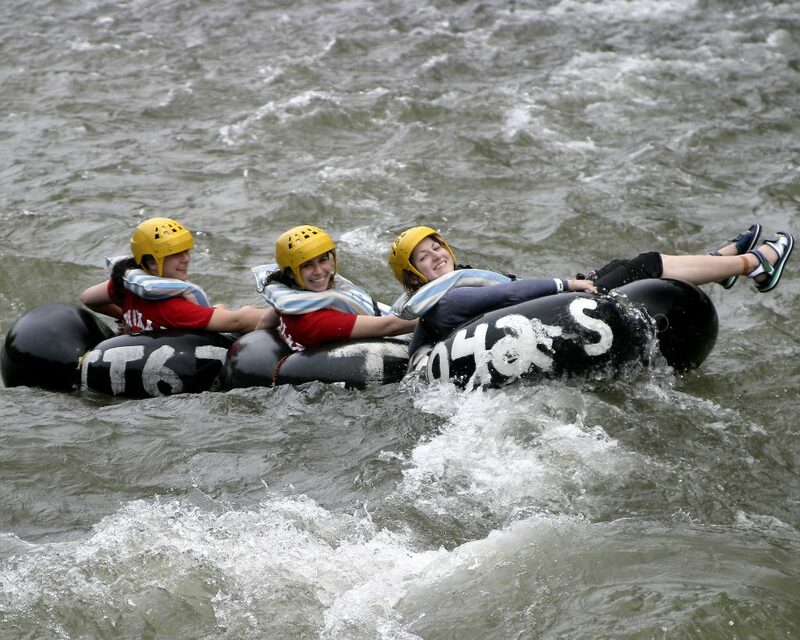 Once you have the tube, place it in front of you, down-river, and use it as a cushion between you and anything you might run into. Let your legs trail behind you and swim behind the tube to avoid hitting your legs on submerged rocks. 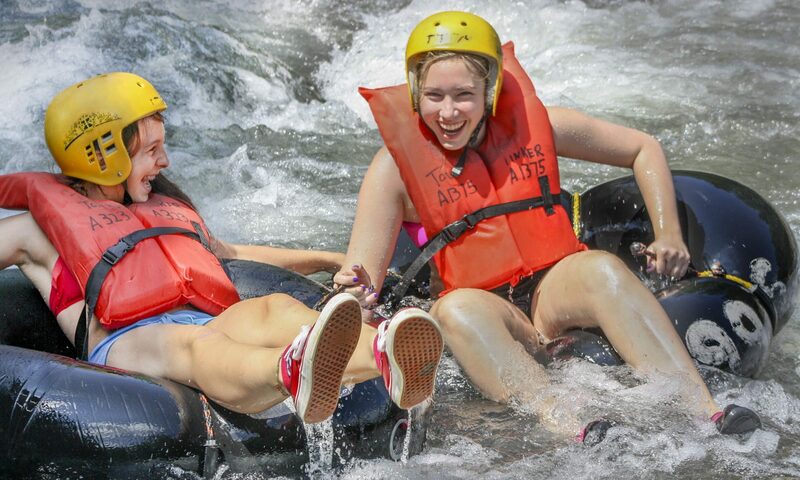 If you are unable to grab hold of the tube, position yourself so that you are going downstream feet first, not head first, and maneuver yourself over to the bank or other place of safety. It is dangerous to stand up in water that is more than knee-deep. Feet can be trapped, and swift currents can easily knock you over. In the event of thunder storms and lightning, exit the water immediately. If you get stuck on a bank without your tube, find your way to the road for a ride back on the Tube Taxi. Coming Soon: We’ll be hosting a video with our tube taxi safety instructions so you can be extra familiar with our safety tips well in advance of dipping even a toe in the water. The creek is a precious resource that is an ecosystem, a source of drinking water and a source of recreation for anglers and Whitewater enthusiasts alike. Please Do Not Trespass, Litter, or Take Food and Drinks in the Creek!